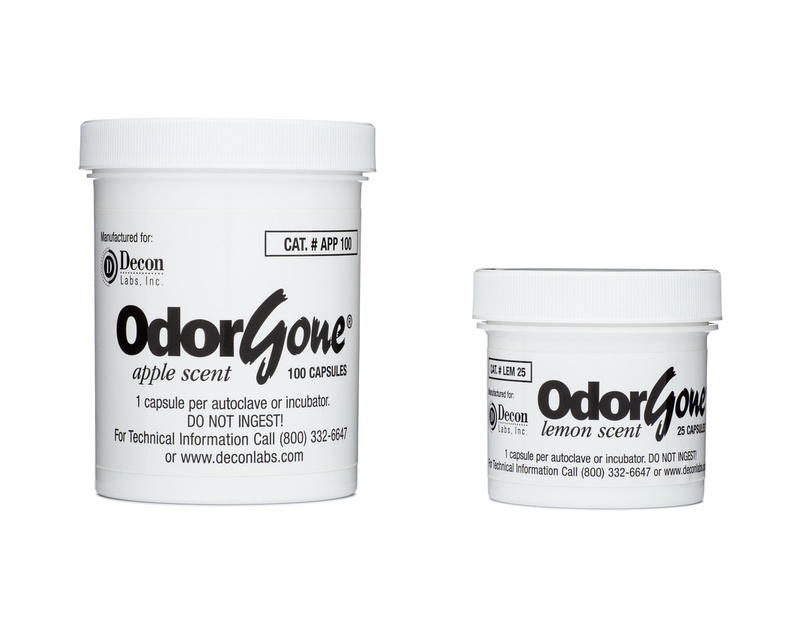 OdorGone® – Autoclave deodorant capsules. Heat and moisture from the autoclave release the contents of the capsule to overcome unpleasant smells generated from heating microbiological waste. One capsule per load absorbs offensive odors leaving the laboratory smelling fresh and clean. Comes in two fragrances – apple and lemon.